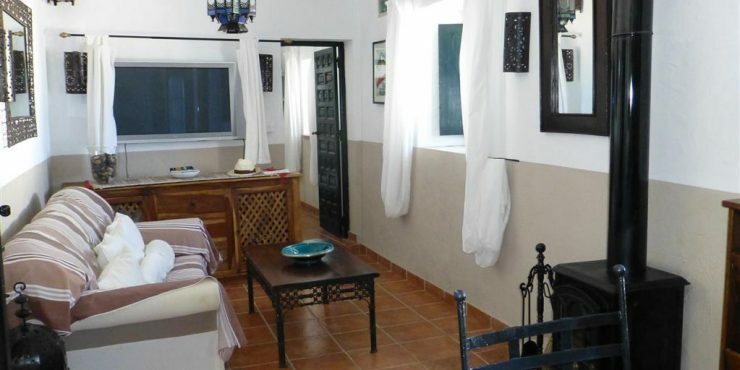 Casa Triana is a charming and beautifully renovated 2 bedroom 2 bathroom patio house in Vejer old town with an enormous roof terrace offering amazing views of La Janda and Morroco and benefits from two communal patios as well. Casa Triana is located in the casco antiguo and can be entered by two different spacious patios. Entering the property from the first patio, stairs lead to the front door and once insice on the right is a compact and well equipped kitchen. Straight ahead through the large wooden double doors is the living room and dining area with wood burning stove and an airconditioning unit. Off of here is the first of two bathrooms. To the left of the living room is the first double bedroom and through here the second double bedroom. You will also find a shower room, the second patio exit and stairs to the roof terrace. It is a short walk to local shops, bars, restaurants and Plaza de Espana. The roof terrace offers amazing views and is equipped with sunloungers, dining room table and chairs, bench area and outside shower. The house is also a registered tourist accommodation.